The summer is already started also in Barcelona and a lot of nice fiestas already took place. One of them is going to start in late August but this Fiesta is not that known and therefore a real insider tip. It is loved by the locals and the people from whole Catalunia. 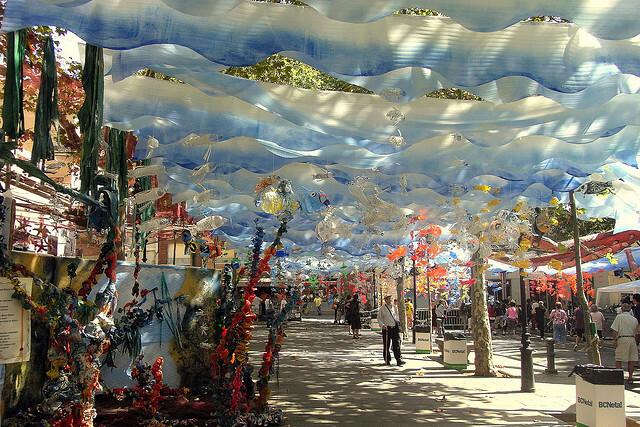 It is supposed to be Barcelona´s most appreciated street festival. It takes place in the Garcia neighbourhood and is a great experience for all the visitors. 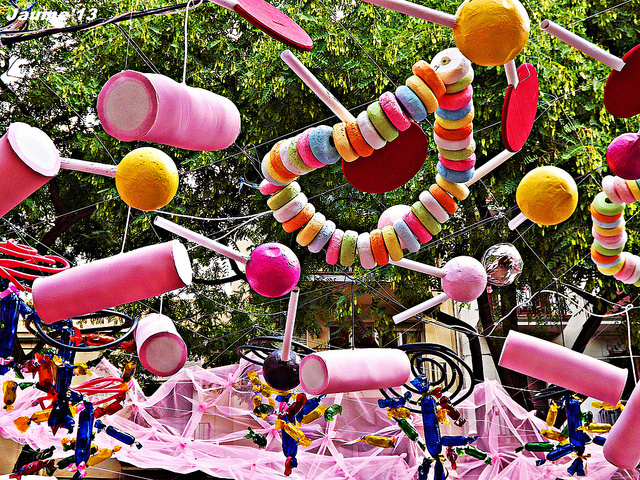 Every year, from 15 to 21 August, the Catalonian festival “Festa Major de Gracia” in the district of Gracia in Barcelona. During the festival, the Catalan culture and traditions will be celebrated. 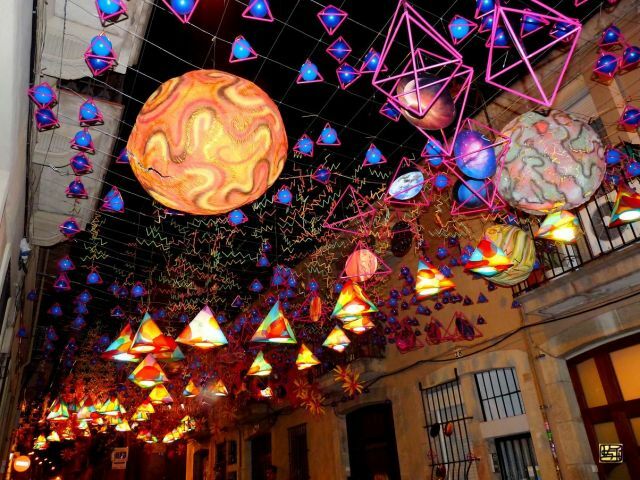 The most famous event of the festival is a competition that characterizes the best decorated streets, balconies and squares of this district. Everywhere on the streets can be seen motifs and small works of art. The artists of this road has turned them into a small world of Super Mario. Every year there is a different theme. The streets are designed accordingly.